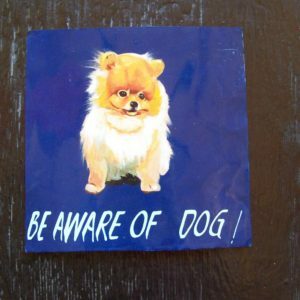 These Pomeranians are currently available for sale. 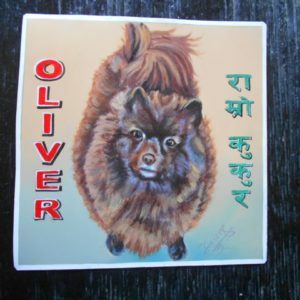 Oliver the Pomeranian is hand painted on metal by Sagar Bitsa. If you would like, I can take it back next trip to repaint the lettering of your choice on this portrait. 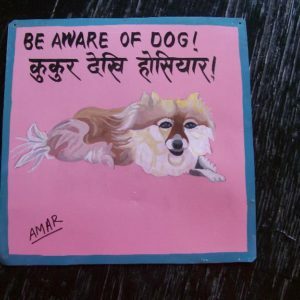 This very folk art Pomeranian was hand painted by Amar in his signature style. This is definitely outsider art with a little cubism mixed in. 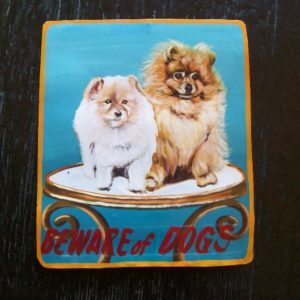 King the peach colored Pomeranian is hand painted on metal by Nara of Asha Arts. 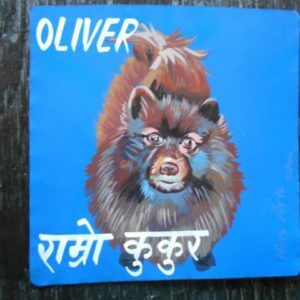 King’s owner had requested English only, so there is no Nepali script on this portrait. This handsome sign is currently available at Nomad in Boston. Please contact them at (617) 497-6677, and they will be happy to assist you with your purchases. Their website is NomadCambridge.com. 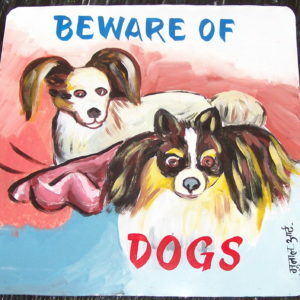 Baba painted this handsome pair of Pomeranians on a stool. 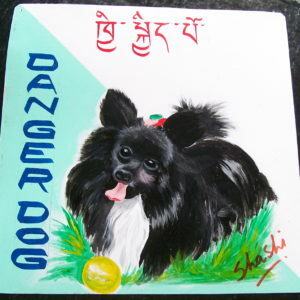 The owner requested that there be no Devanagari (Nepali) script on her painting. 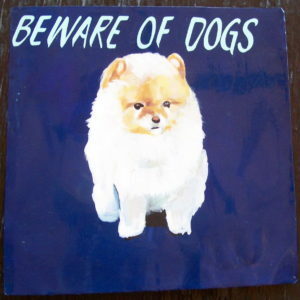 Nara of Asha Arts hand painted this white Pomeranian on metal.